Xiaomi launched it’s latest phone Redmi Note 4 in India last month. The phone is available in 3 variants, the range starting from Rs. 9,999. The phones are currently available in Gold, Silver and Grey colour. The company is yet to launch Redmi Note 4’s matte black colour in India. 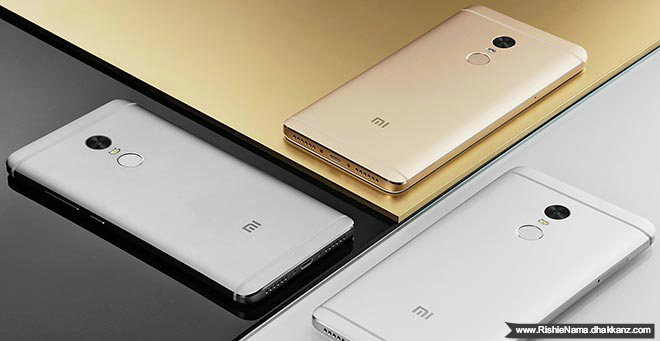 The Redmi Note 4 will be available for sale only via Xiaomi’s website and on Flipkart. The variants available are 2 GM RAM / 32 GB storage, priced at Rs. 9,999. The one with the 3 GB RAM / 32 GB storage is available for Rs. 10,999 and the highest variant is priced at Rs. 12,999 which has 4 GB RAM and 64 GB storage. With 151 mm by 76 mm specifications, Redmi Note 4 is quite a handset to hold and it feels good in hand. The weight of the device is only 165 gms which does not make it too heavy to hold. The thickness is 8.45 mm which is neither too sleek nor bulky in handling. It is powered by a non-removable 4000 mAh lithium-ion battery. The Note 4 is powered by a Qualcomm Snapdragon 625 octa-core chipset, supported by Adreno 506 GPU giving a 2 GHz speed. The main camera sports a 13 mega pixel camera with a CMOS sensor. This camera is supported with a dual-tone LED flash. The front camera is a 5 mega pixel camera with CMOS sensor and a wide 85 degree angle lens. The lens is a piece lens with recording capability of 720p 120fps slow motion videos. The front camera is capable of recording 1080p full HD video recording. Redmi Note 4 has a full HD display n a 5.5 inch screen with a 1920×1080 resolution. The screen comes with a Night Display feature, Reading mode and Colour Temperature adjustment capabilities. The hardware sports a hybrid dual-sim tray. One slot fits a micro-SIM and the other slot is for nano-SIM. The nano-SIM slot can also be used for expanding the storage upto 128 GB with a microSD card. The phone is 4G capable and also support VoLTE calls. Want to tell us what features you would like to see in the next legendary phone? Participate in the discussion here.